This easel comes with magnetic whiteboard and can be single or double sided. 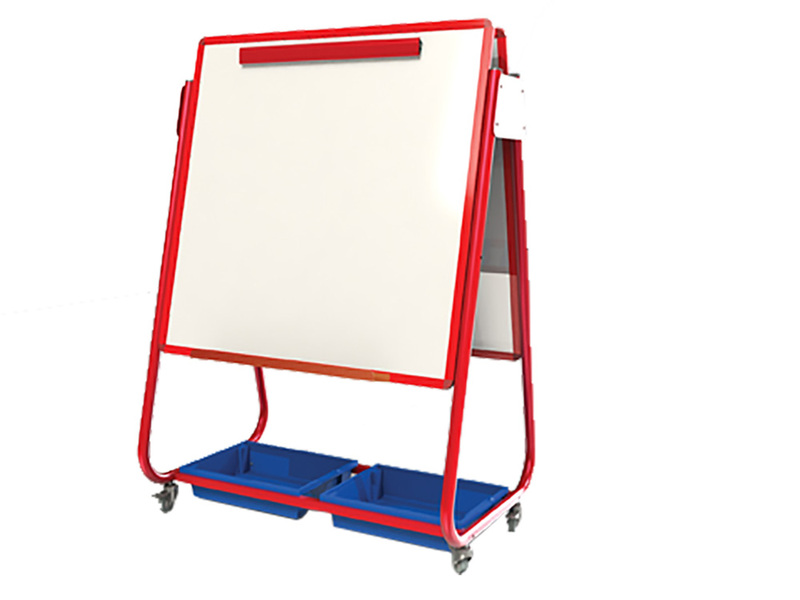 The coated steel frame comes in red or blue and has two storage trays fitted at the bottom and a flip chart clamp at the top. Designed for use in schools, pre-schools and nurseries. Complete with 4 easy glide lockable castor wheels so it is easy to move the board to the desired location. 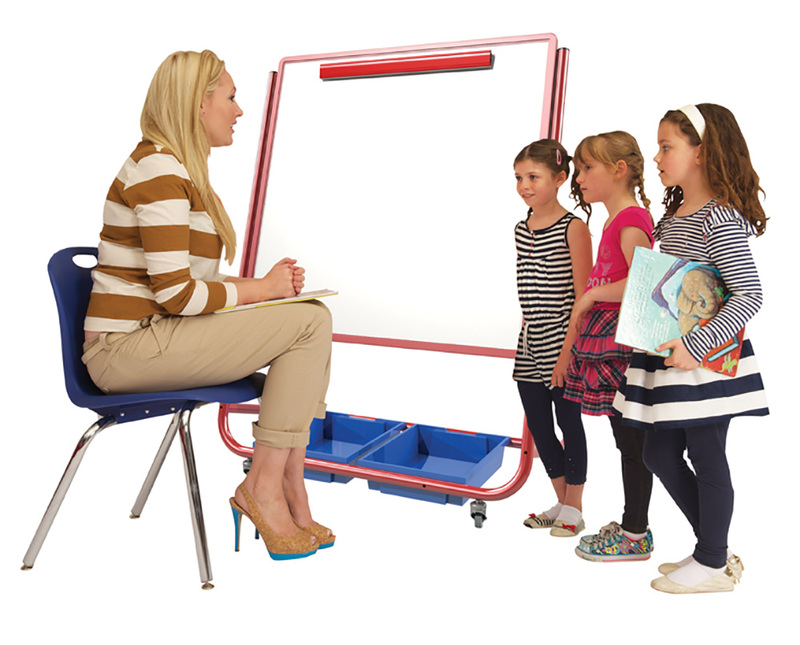 Designed to encourage group work with a big book shelf this mobile easel is perfect for use in schools.